Amruthavarshini is a flagship fiction program of Star Suvarna channel. It all started a 5 years before which created a sensation in the small screen. All the characters of the above mentioned program has remained as the part of each and every family of Karnataka. Senior artists like Abhinaya Sharade Jayanthi and Hema Choudary are the part of this serial which made the serial to get well connected with the audience. As the serial touches the milestone of 5years telecasting and entertaining, Star Suvarna had arranged thanks giving event named as “AMRUTHAGALIGE” at Tumkur. More than 10000 audience who witnessed the celebration. The most happening anchor of Kannada TV industry Akul Balaji took over the event with his naughty and mischievous talks. Shalini and Pavan were part of the show that made the event more successful. Manvitha harish, Haripriya, Samyuktha Hornad, Bhavana, Vasistha N Simha, Anoop Silin, Rohith Padaki were Sandalwood celebrities who were part of the dance and extravaganza of the event. Star Suvarna also felicitated Hema Choudary with LIFE TIME ACHEIVEMENT award. Also Star Suvarna helped Old aged home people. Also Senior actress Leelavathi along with her son Vinod Raj wished Amruthavarshini family by singing and dancing on stage which thrilled audience. All the Suvarna Parivara members was part of this event who entertained the audience. 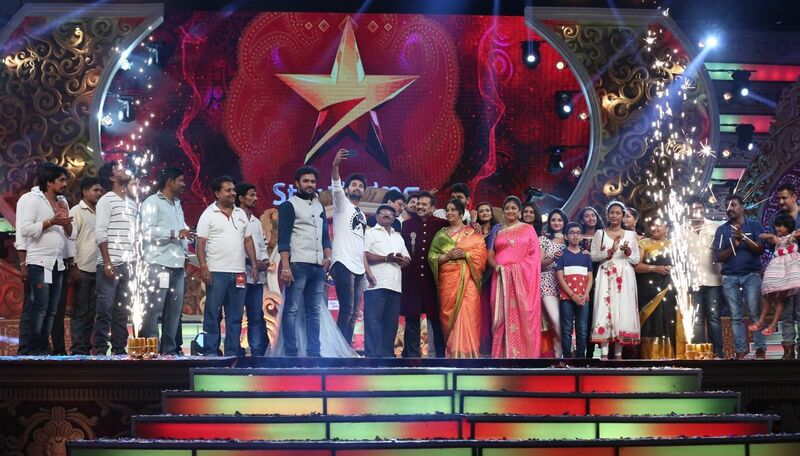 So Star Suvarna is all set to entertain the audience over On Air this Sunday at 06:00pm.